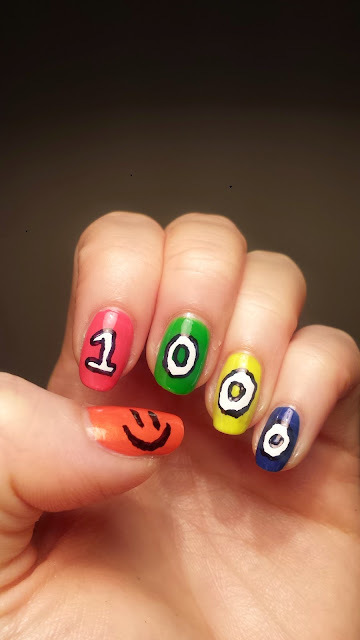 I did this nails combo when my Instagram account hit 1000 as a celebration/appreciation! I used the most bright and colorful polishes (most of them are really old) from my collection to make this rainbow set. I then used a white nail striper to paint on the numbers 1000 and outline the white with a black Sharpie pen. Yes, a Sharpie! I will write a post soon all about using Sharpie markers for nailart to include in my Tips and Tricks page. 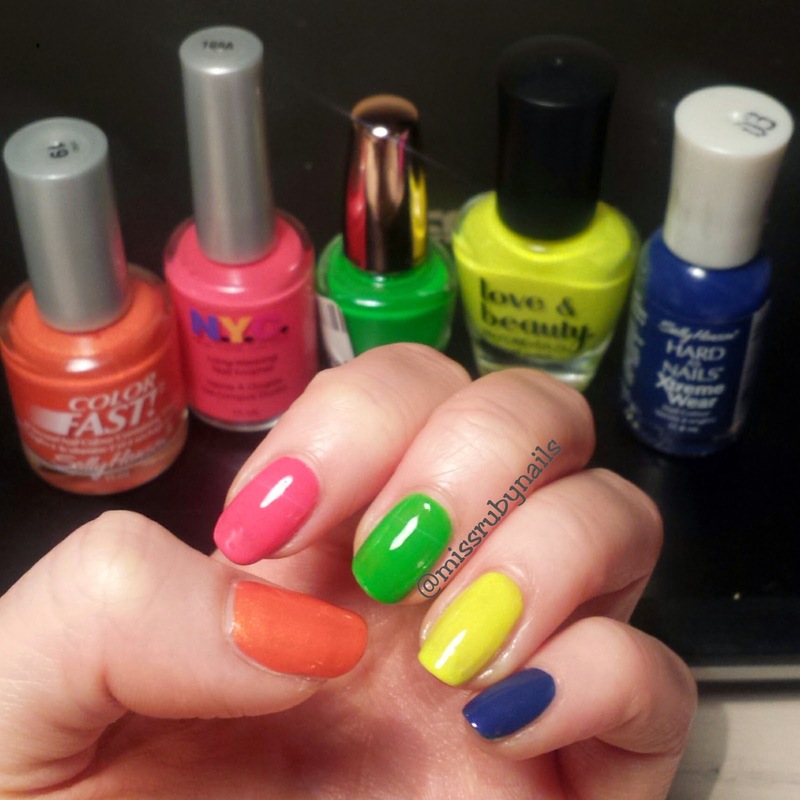 Be sure to come back often to see all my tricks for nailart!